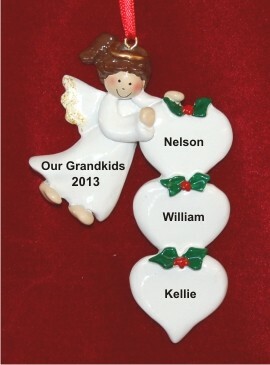 The joy of being a grandparent continues with the arrival of the third grandchild. 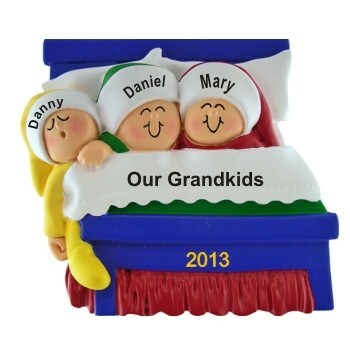 Now a small group, grandma and grandpa can spoil each grandchild individually, and then enjoy all three of them at a movie or for sleep over or fun times at the swimming pool. 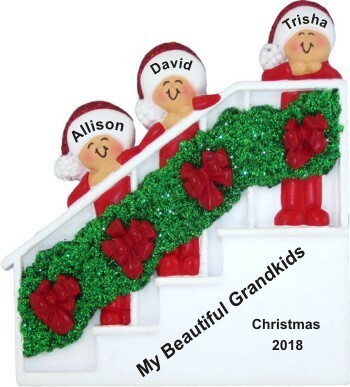 The convenient thing, of course, is knowing that the grandkids' parents will be picking them up later and they get to worry about discipline. 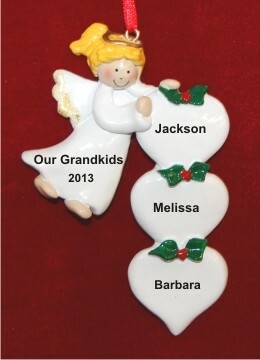 For a time, we grandparents get to spoil the heck out of them and act a bit childlike ourselves for the fun of it. 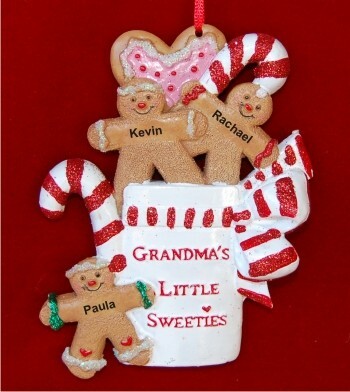 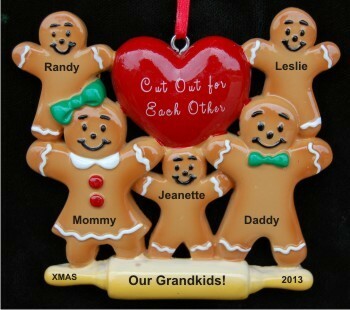 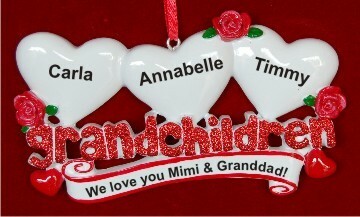 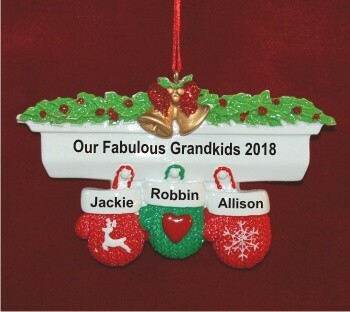 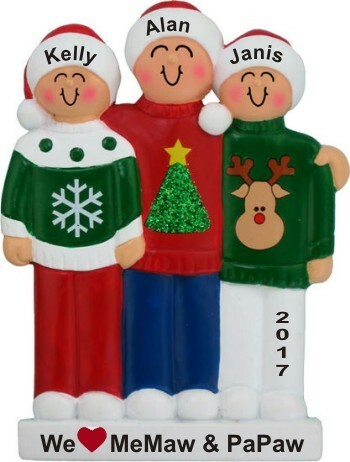 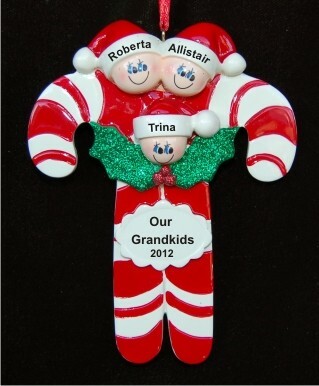 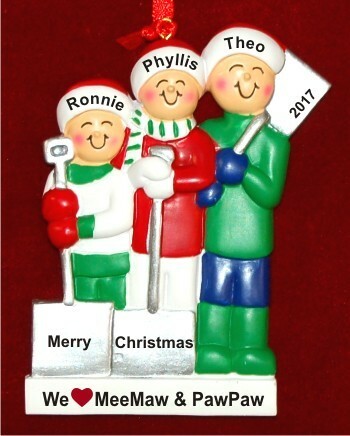 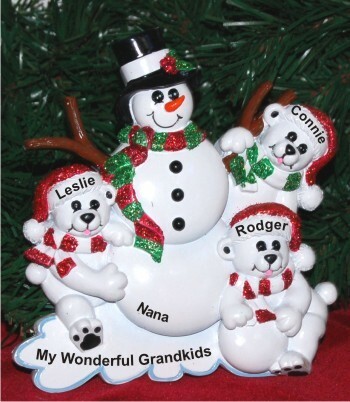 Find the perfect personalized ornaments for grandparents with 3 grandkids ornament in this category for a loving grandma and grandpa. 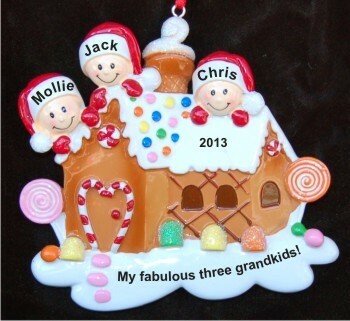 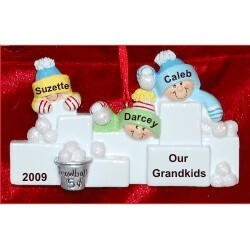 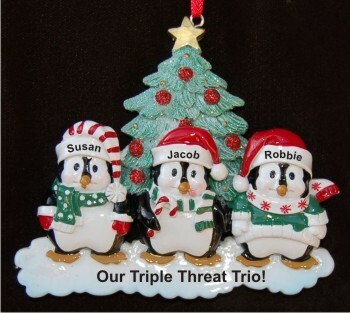 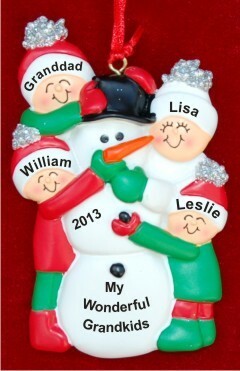 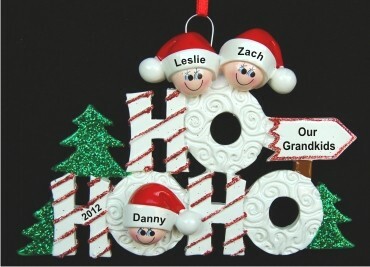 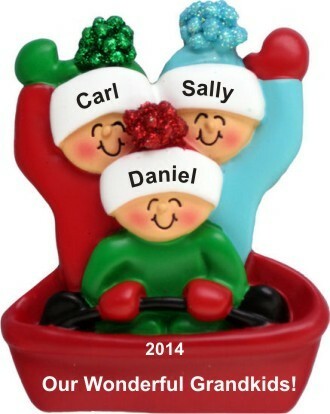 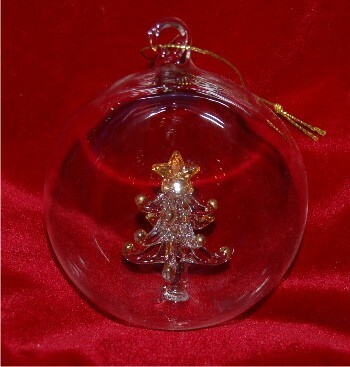 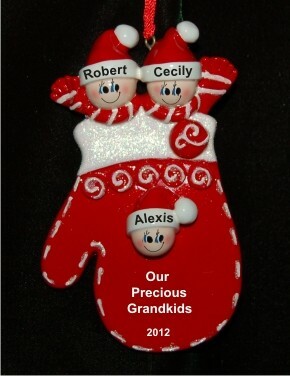 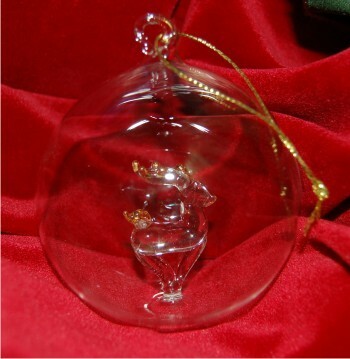 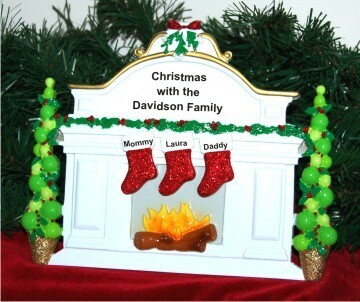 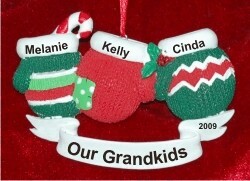 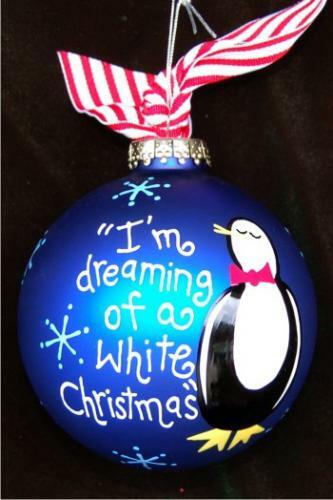 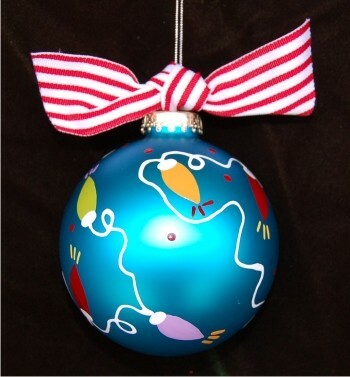 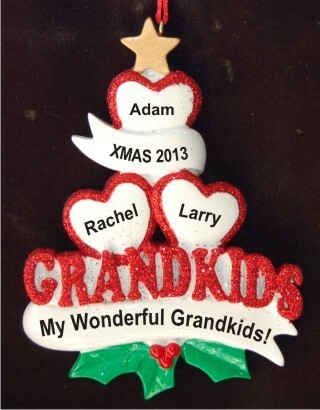 Personalize the ornament with each grandchild's name, the year, and their loving sentiment for their grandparents. 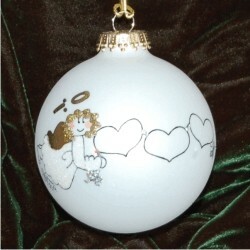 Each ornament arrives where noted in our classic black velvet bag, ready to make a great gift and perfectly sized for any size tree.